Dedicated strategy & training session to find out more about digital marketing & social media marketing for increased business profits! 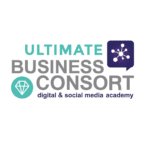 Whether you’re just starting out in digital marketing, a senior level marketer or CEO, training from Business Consort ensures you gain the right knowledge, strategy, planning, tactics and tools. Our CIM accredited training programmes can be studied online, face-to-face or through in company training. But without that strategic oversight, purpose and a genuinely integrated approach to your marketing and sales, your business will lose out. Our Head Trainer & Founder has a wealth of knowledge from digital tools to proven strategies and has worked both with clients and delegates over 20 years to assist in getting the best return on investment from their marketing efforts. Our CIM accredited courses are designed for sales, marketing and leadership teams who are serious about successful marketing. Our in-company training ensures all your team benefit from increased strategic and tactical skills covering the key digital components required in business today. 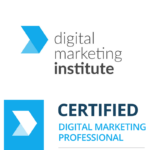 Dawn has worked with Just IT for the last 6 months and added great value to the Digital Marketing pathway that we run. She is passionate about her sector and incredibly knowledgeable about all things digital. She has brought people together to facilitate change and Dawn has worked well as a collaborator to innovate with new services which have benefited both candidates and employers. Dawn is truly outstanding to work with! I hired Dawn to work with some of my membership group as moving from traditional to digital marketing is a key business priority for them this year! Not only was Dawn a dynamic speaker with excellent presentation skills, she has extensive knowledge in the IT and technology industry (which for my membership was a huge bonus), she is a true expert in digital marketing and how to use digital marketing to drive new lead generation and build lasting relationships with your prospects online, she completely ‘wowed’ us with the number of online tools and tricks that we can use immediately to grow however most importantly she practices what she preaches, hence being ranked number 1 on LinkedIn in her market. This is great social proof that everything Dawn teaches delivers results! She really is a great attribute to any company she works with! Need digital, social media or content marketing training or strategy planning for your team or business? Our consultant and trainer will audit the business in advance and present ideas based on proven strategies and techniques to enhance your online visibility, web traffic, lead generation and sales conversion. We will look at every area of your business and digital marketing to ensure you reap the maximum return on investment. We find that when outsourcing to agencies often it is unclear whether the results reflect the potential for the money paid so we strip this back and provide a clear overview of whats working and whats not – and how to improve your digital marketing ROI! 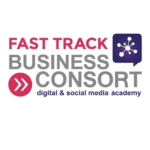 These sessions are designed to provide a combination of training and strategy planning as most businesses have a social media presence but lack a clear strategy to take their efforts to the next level and start turning their social networks into paying customers through lead generation. How can I book a session or request a proposal? Take a look at our 10 minute tips video for Growing your business online and the importance of digital marketing strategy. These sessions are carried out face-to-face at our either our offices or at your own premises. Our Team Training courses and Consultancy Programmes are hosted by Multi-Award Winning Digital Marketing Speaker, Author & Trainer – She has just been awarded Best Female Speaker @ The Professional Speaker Awards. We can tailor any of our Digital Marketing Courses to suit your exact business goals and objectives and deliver training at your premises – worldwide! what have other businesses said about the sessions?